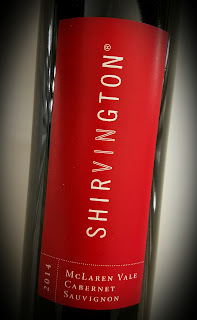 The South Australian winery Shirvington was founded in 1996 by Paul and Lynne Shirvington and their sons. A plot of Shiraz and Cabernet Sauvignon vines became their first vineyard, Redwind. The red clay and limestone soil is in Willunga, just south of McLaren Vale. There they grow Cab, Shiraz and Mataro, better known as Mourvédre. Peter Bolte takes care of the vines, while Kim Jackson lends her Sonoma and Burgundy trained knowledge to crafting the wine. 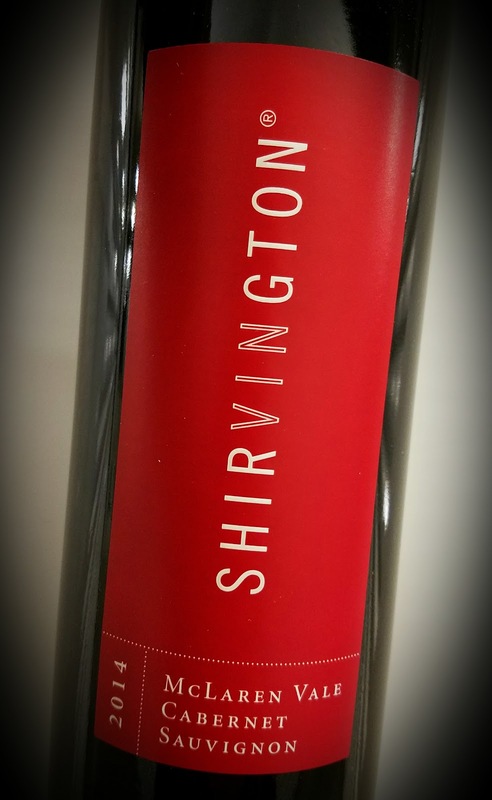 The 2014 Shirvington Cabernet Sauvignon tips the alcohol scale at 13.5% abv and it retails for about $32. This extremely dark wine offers a nose of rough-hewn blackberry with a tiny wisp of freshly sanded wood. 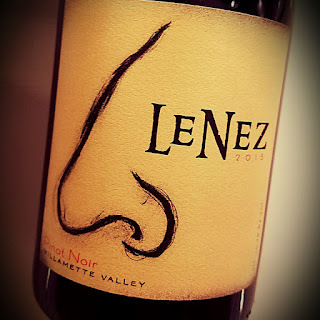 It's a fairly muscular package of aromas, and that heft carries onto the palate. It's a pleasing bunch of flavors, but I wouldn't call any of them elegant. This a Cab for a steak that's been bad and needs corporal punishment. Dark fruit plays for the front row with some oak spice for support. The fruit is fairly pure, though, and has an interesting dark flair which I find captivating. By now, you've no doubt been through the fall supply of Beaujolais Nouveau. If not, get to work - it's a wine that's meant to be consumed while young. To be blunt, it's not getting any better in the bottle. I greatly prefer the wines from the crus of Beaujolais, the ten villages that all offer their own separate and distinct terroirs. They don’t cost much more than BN, but the difference is like night and day. The Gamay grapes for Duboeuf's 2016 Château de Saint-Amour Beaujolais were grown in the granite and clay soils in the northernmost cru of Beaujolais. The Siraudin family owns the estate and has worked with Georges Duboeuf for many years. The wine was vinified in steel, and is never influenced by oak, so it's all about the grapes. Malolactic fermentation happened in full, which gives the wine a fullness, but the freshness is preserved. Alcohol hits 13% abv. It's imported to the U.S. by the fine folks at Quintessential Wines, who provided the sample. This 100% Gamay wine is from the Saint-Amour cru of Beaujolais. It smells earthy and grapey with a note of smoke and tastes bold and full. The dark fruit is almost jammy and there's a splash of tartness that fills the gap. The wine has a delightful acidity and a firm set of tannins. Women across the world are taking what is rightfully theirs. That includes a record number of women now in the U.S. government. Once male-dominated industries and businesses are now getting what has been dismissed for centuries as "a woman's touch." It's happening in the world of wine as well. Recently, my friend Dan Fredman sent me an email about Laura Catena and her family's Argentine wine estate. The vineyards were started in Mendoza by her father, long before she ever thought of joining the business and long before she ever dreamed of being an emergency room doctor. She now oversees the winery and the family's Mendoza estate vineyards in addition to caring for sick and injured people in San Francisco. 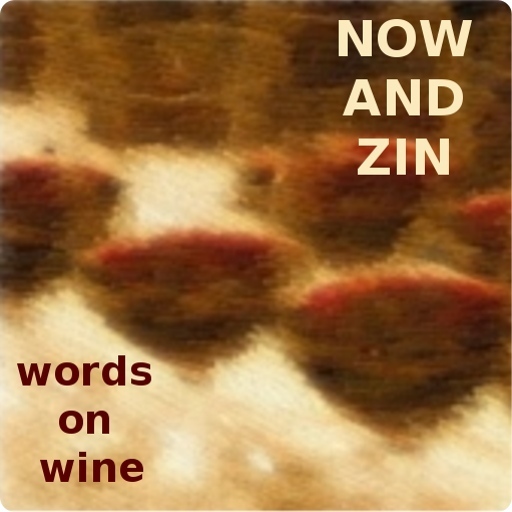 Fredman wrote that Catena felt that for centuries, "Men made the wine. Men wrote about the wine. Men collected the wine. It wasn't until the 1980s that women’s contributions began to be noticed and acknowledged." She was ready to take her turn in the batter's box. 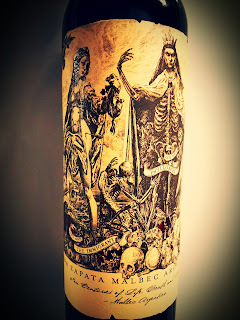 Catena put a label on the bottle for the Catena Zapata Malbec Argentino that tells the story of how her country's most important grape came to the Americas. More importantly, she says, it tells that story "from a woman's point of view." Catena and her sister use four female figures on the label. Eleanor of Aquitaine - one of the most powerful women of the Middle Ages - represents the birth of Malbec. Madame Phylloxera personifies the near-death of the French wine industry in the late 1800s. The Immigrant represents the pioneering women leaving Europe for a new continent. Catena's sister Adrianna is the fourth, symbolizing the modern-day renaissance of Malbec in the new world. Adrianna says she and Laura simply got tired of the "monotonously male vision" of Malbec presented through the years. She says the label honors the women involved in Malbec's journey and the roles of women in the wine world. Winemaker Alejandro Vigil recently pulled down 100-point ratings for two of his creations. 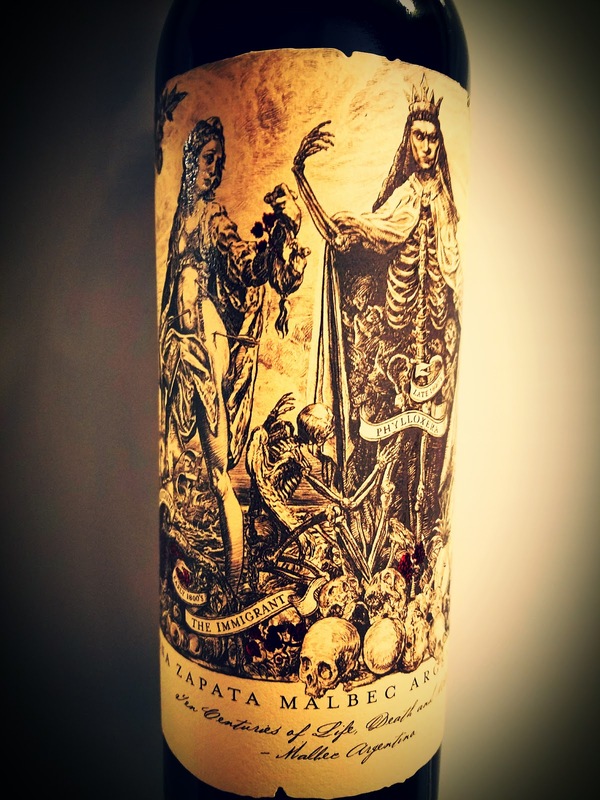 For the 2015 Catena Zapata Malbec Argentino, he took only Malbec grapes from low-yielding plots in the sand, gravel, stony and clay-loam soils and micro-fermented them in brand new French oak barriques and steel tanks. The wine was aged for 24 months in oak, then another year or more in the bottle. It's a $140 bottle of wine. This Argentine Malbec is a full-throated testament to winemaking. It's inky black, it smells of fire, tar, vanilla, licorice, black pepper and black fruit. The nose is simply astounding. On the palate are flavors of blackberry, toasty oak, cigar and sweet spice. A pairing with lamb would be great, or heavy beef cuts. Or, just sip and enjoy. It's good that way, too. Oh, how I love a Riesling with that petrol emotion. The smell that reminds me of swimming near the flat-bottom boat with the Evinrude on the stern, dripping oil and gasoline into the water. It's not environmentally sound, but it's from my teenage years on a lake in east Texas and I'm sorry about the water, but I loved that smell. Francis Cutruzzola and his partner Lisa Miller were longtime Sonoma County residents who merely visited the Paso Robles area - a lot. One visit turned into a stay when they bought a vineyard outside of Cambria, where they grow two acres of Riesling grapes and five of Pinot Noir. They work there with winemaker Stephen Dooley, who in 2019 will mark his tenth year on job. My wife and I also like visiting the little town, and early on we were confused by the different pronunciations it received, with both a short and long "a" sound. We gradually settled on the short. Dooley is a U.C. Davis graduate who, the website says, has worked "the Napa Valley, the Australian outback, and the South African Cape." His personal winemaking style has been shaped by those experiences. Petrol. This 2015 San Luis Obispo County Riesling from the Riven Rock Vineyard has that smell in spades, the smell that I long for in every Riesling I try. It's so strong it's on the palate, too. There's also a wallop of wet driveway here, and even a hint of gin & tonic. A nice acidity helps the wine be food-friendly, a natural for Riesling, anyway. 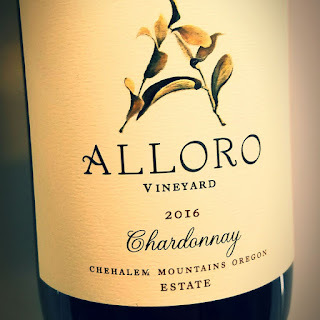 The wines of Alloro Vineyard grow in the Chehalem Mountains AVA, on a plot of land where there is a working farm, 100 acres of sheep, cattle, fruit and nuts. The 34-acre vineyard is planted to Pinot Noir, Chardonnay, Riesling, and Muscat grapes. The Alloro 2016 Chardonnay is aged in French oak, 10% of which is new. Alcohol tips 13.7% abv and it retails for $34. The 2016 Alloro Vineyards Chehalem Mountains Chardonnay serves as a sort of bridge between old-style and modern Chardonnay. It has an oaky presence, but not one that's off-putting. You'll get a whiff of it on the nose, but it's the tropical fruit you'll remember. The mouth is quite full and juicy, with a nice acidity and a medium finish. I paired it with a gumbo and was quite pleased. From the Cotes Catalanes region in southwest France's Languedoc-Roussillon, Others is a blend of Grenache, Carignan, Syrah and Mourvèdre. It's made by Dave Phinney, who says he fell in love with the land around Maury on his first visit there. He says the red soil is peppered with black schist, granite and limestone. He not only fell in love with the dirt, but also the people. So much so that he has a home there. His Department 66 winery is also located there. 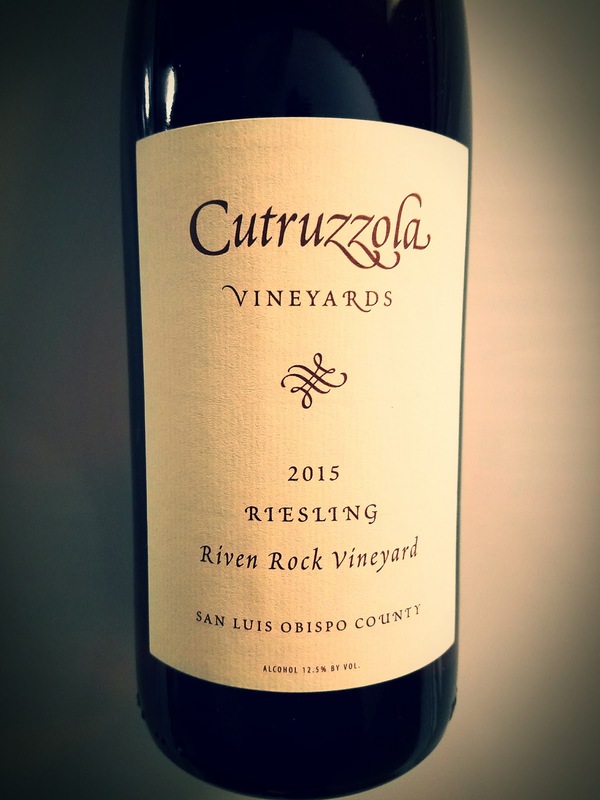 The 2015 wine is imported by Bloodlines of Sausalito, California, rings the bell in strength at 15.2% abv and sells for $25. This deep, dark Grenache shows a bit of savory funk on the nose, with black olives, meat and tobacco coming through. The palate has cherry and dark berry flavors, along with chalky, earthy notes. The mouthfeel is full and refreshing, with enough tannic structure to handle a steak, or any other meat dish. The finish lingers awhile, which is a pleasure. 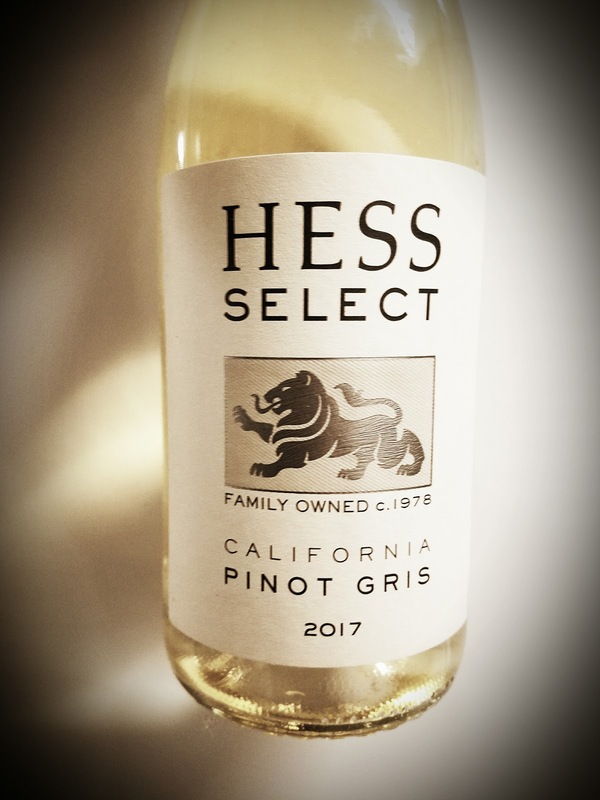 For the 2017 Hess Select Pinot Gris, the winery promises the best vineyards are used in sourcing the grapes, but the California appellation means they were not all in the same region. 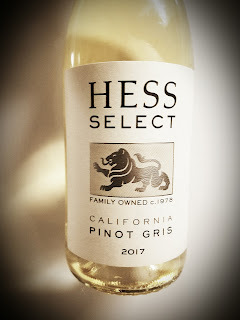 The Hess Select Pinot Gris was fermented in stainless steel tanks and never touched oak. That helps keep the fruit in the forefront. 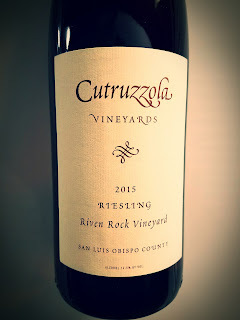 Winemaker Guffy's team stirred the lees, the spent yeast cells, periodically to add body to the finished wine. Alcohol is pretty rich, at 14.2% abv, and the wine retails for $13, but is sold out on the website. This is a delightful white wine. I'm usually not wowed by fruity, floral whites. I like 'em with salt and savory as the lead players, but this one wins me over. Flowers burst from the nose, but there's an underlying earthiness that grabs me. Peaches and apricots hit the taste buds with a very faint sense of citrus to hold the reins. Nice acidity, nothing too abrasive, but very refreshing. I had mine with a mix of roasted nuts and it was very tasty. I was able to sip and not think about it too much, which is fine sometimes. 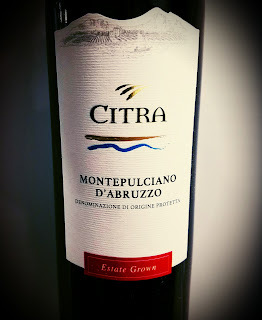 Citra Vini, an association of wineries in Abruzzo established in 1973, covers a lot of ground in Chieti. The winegrowing group is located near the Majella, a limestone massif in the Apennine mountain range, Gran Sasso, the highest peak around and the Adriatic Sea. 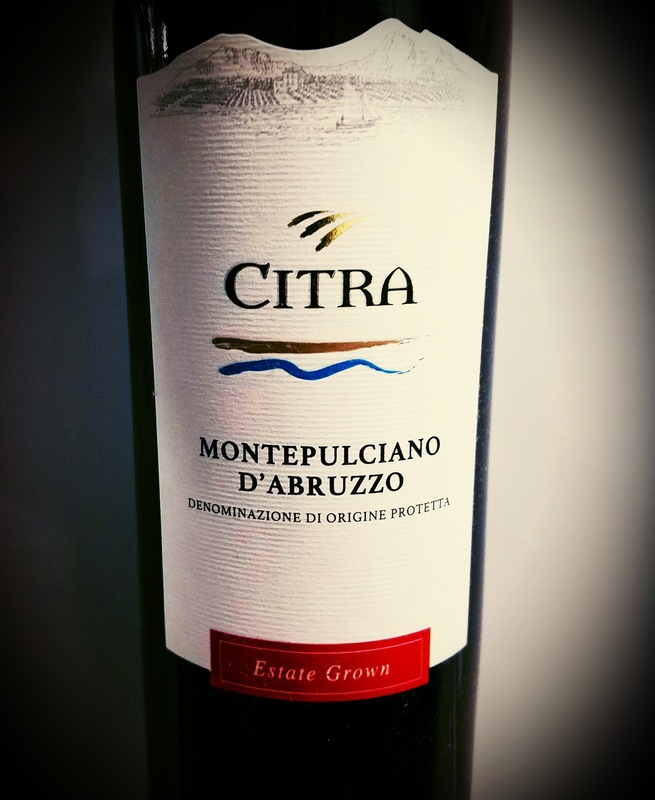 Their website explains a bit of the storied history of the Montepulciano grape. Hannibal reportedly gave the wine to his soldiers for its supposed restorative powers, and Ovid praised it in a poem. The Citra umbrella shades a lot of labels, and this would appear to their bargain brand, as it sells for less than ten bucks. There was scant information available about the wine, but a winemaking team of 19 worked on it, so at least they had a lot of experience in the cellar. Alcohol hits a reasonable 13% abv. 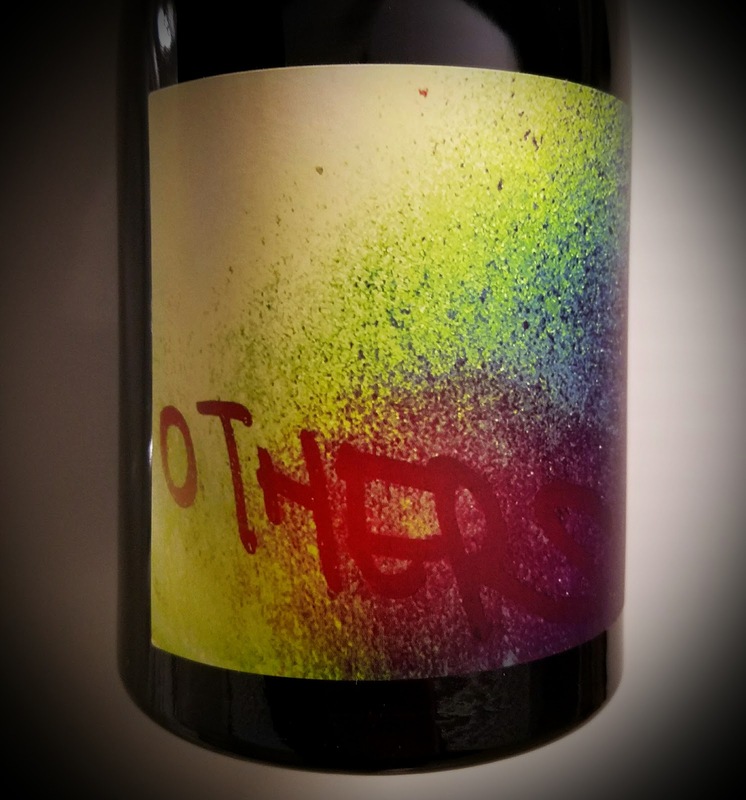 The nose on this 2017 Italian wine is a bit fuzzy at first, but the cherries and blackberries are there, along with a strong initial whiff of chocolate. It's medium-ruby in color and offers cherry, black cherry and a hint of raspberry on the palate. Tannins are reasonable, if not very firm, and the acidity is quite refreshing. I snacked it with a hard Italian cheese, the name of which escapes me. Pair it with meat or tomato sauce dishes and you'll be fine. A partnership between Black Angus restaurants and DAOU Vineyards is being celebrated by both parties. 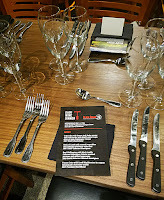 A wine pairing dinner was held recently at the chain's Lakewood, CA restaurant. The wines were paired with special dishes prepared by executive Chef David Boloson, with personality and background provided by Georges Daou. 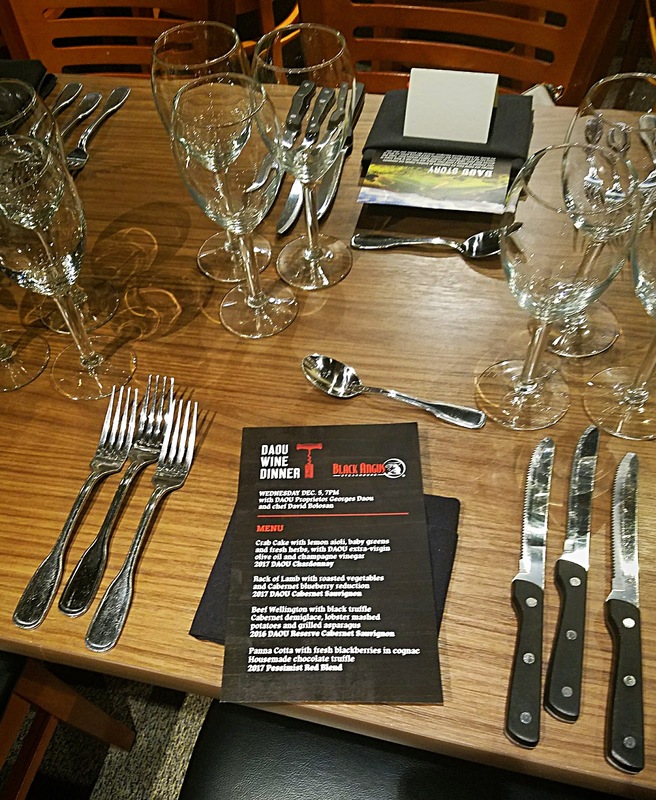 The dinner showcased the new design of Black Angus, which is set to roll out in 2019, while pairing seasonal favorites with DAOU wines that are now on the restaurant's list. Black Angus is going with a rodeo nouveau decor, with arty old-west touches - black-and-white photos of cow skulls, rope and saddles are framed in brown wood with silver spur flourishes. It's fancy without being intimidating. The evening started with a white wine opener, DAOU's Chemin de Fleur, a blend of Viognier, Grenache Blanc and Roussanne. It is floral and savory at once, with great notes from all three grapes showing nicely amid an old-California dose of oak treatment. The wine carried me nicely through one of those mingling sessions where I knew not a soul. As usual, I gravitated to a freelancer - this one a USA Today contributor - who could not stop name dropping. Spago, the Polo Club, the Four Seasons, ugh, she was "so over it all." She said Ryan Gosling wanted her to come to a party that night, and I have no idea why she ended up in Lakewood instead. Georges Daou and his brother Daniel are from Lebanon, having come of age with bombs bursting outside the kitchen window. They would escape to their grandfather's farm and play among the olive trees. They later escaped to the rest of the world, traveling the globe for education and careers. Their stint in medical technology rewarded them richly and allowed them to retire while still in their thirties. Then, they happened upon Paso Robles while searching for a place to grow and make wine. The Daou brothers' 220 acres in the Adelaide AVA were more than Georges ever dreamed of having. 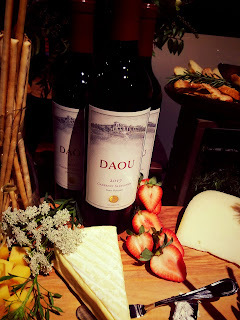 DAOU Chardonnay 2017 - Oaky tropical fruit on the nose, buttery mango, pineapple and citrus flavors, with a great acidity. Paired wonderfully with the crab cake and lemon aioli. 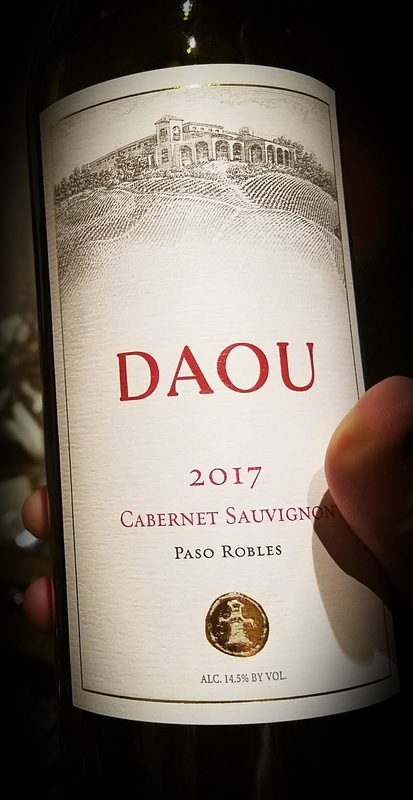 DAOU Cabernet Sauvignon 2017 - Aged ten months in half French oak. Lovely aromas - perfumed, blue and blackberry with Paso earth. 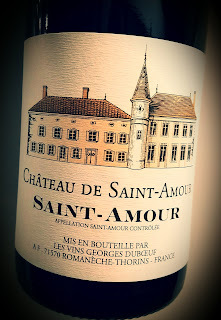 The palate offers dark fruit with an earthy overlay, fabulous acidity and very firm tannins. It paired perfectly with lamb in a blueberry cab reduction with roasted veggies. DAOU Reserve Cabernet Sauvignon 2016 - Aged 20 months half new French oak, dry farmed in limestone-based soil. Earthy, minty dark fruit on the nose shades a hint of anise. Very earthy blackberry and cassis on the palate, with excellent acidity and firm tannins. It paired with the beef Wellington, black truffle demiglace, lobster mashed potatoes and grilled asparagus. Pessimist Red Blend 2017 - A Rhône blend with zinfandel, it was served with panna cotta, blackberries in choc truffle sauce. It scored in that setting, with a floral perfume on the mocha-tinged nose and flavors of dark fruit, licorice and cassis. 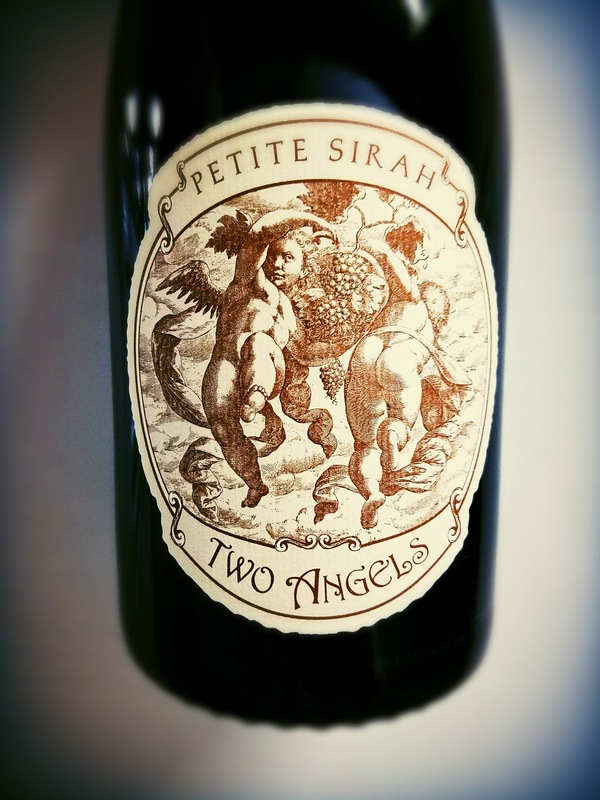 The 2016 Two Angels Red Hills Petite Sirah is a 100% varietal wine from the Red Hills area of the Lake County AVA. The hills are nestled along Clear Lake, at the foot of an active volcano which has not erupted in eleven-thousand years, but we're keeping an eye on it anyway. No doubt, that ancient force left its mark on the iron-rich red soil of the area. The intriguing label art was created by 16th century Flemish artist Jacob DeBacker. The winery explains that the theme of the piece is the "hilarity of inebriation and the trauma of the morning after." They say, "Excessive joy must be countered by equally excessive sorrow, with penitential atonement for pleasure." So, no "hair of the dog" if you overdo it. This wine's Petite Sirah grapes were hand-harvested and destemmed before fermentation. Aging took place over nine months in French Oak, 20% of which was new. This wine's fourth vintage comes in at 14.3% abv and it retails for about $30. The wine is so purple it's just about black. 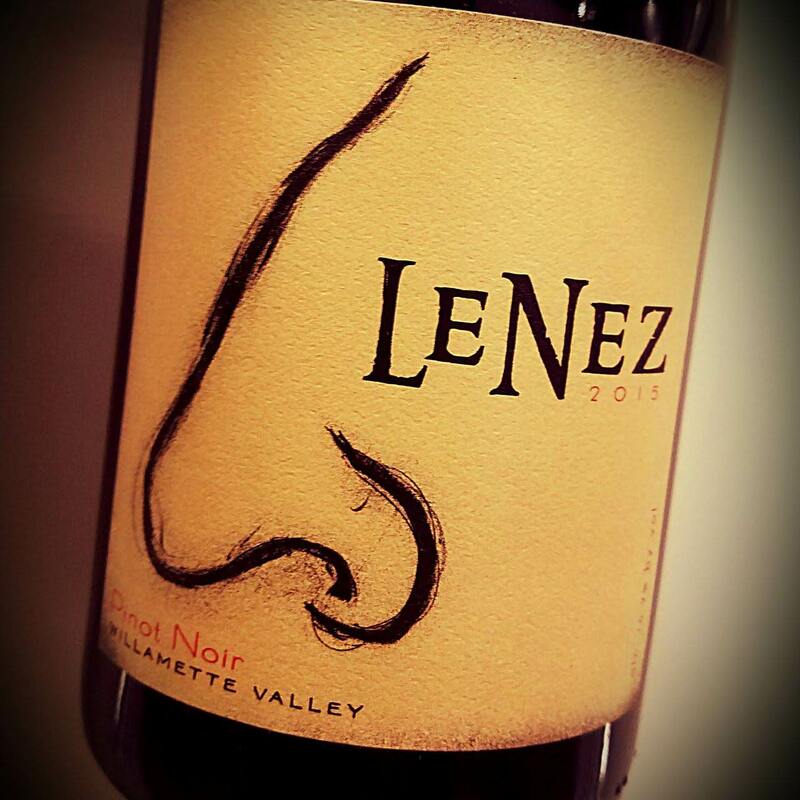 The nose is amazing - so full of smoked meat and black olives you'd think you were in a deli. Forest floor plays in, as do blackberry and blueberry notes. The palate matches those descriptors with maybe a little more of that dark fruit showing, but it's still a savory treat. The tannins work well but don't get in the way of the sip. Bring in the meats, or pair with some blue cheese. Founded in 1944 by 60 winegrowers in Spain's Cariñena region, Bodegas San Valero is now 700 winegrowers strong, with more than 8,600 acres of vines. The Cariñena region is in the middle of the Ebro river valley, in Zaragoza, Aragon. 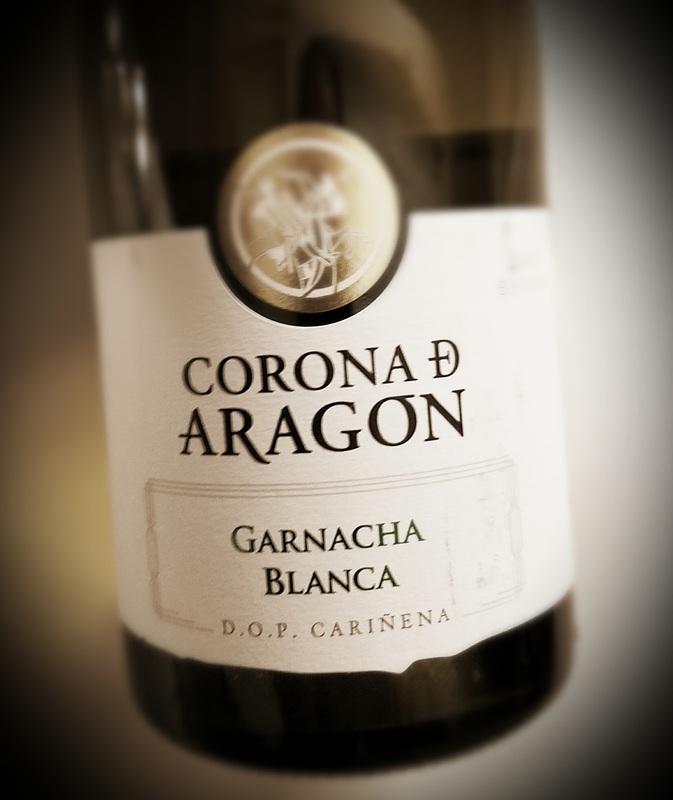 The region earned the first Designation of Origin in the Aragon region in 1932. 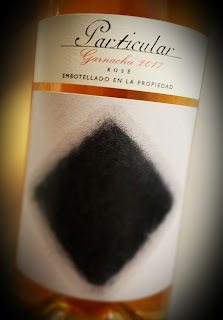 The Particular line features a rosé made from Garnacha grapes, which in some necks of the woods are called Grenache. The website says this is the wine that winemakers make when they make wine for themselves. Just a few hours on the skins gives the pale coloring of the wine. Stainless steel fermentation keeps the aromas and flavors fresh. The pink wine hits only 11.5% abv and it’s pretty inexpensive. The 2017 Particular Garnacha Rose is a pale wine that doesn't smell inexpensive. The nose bursts with strawberry and cherry aromas, and there's a hint of the stems adding an herbal twist. The same fruit holds on the palate in fairly simple fashion, with a bit of lime to go along with a zippy acidity. It tastes almost tart, but holds instead with an extremely herbal sensibility. It's not elegant, if that's what you're looking for, but it holds its own with a ham sandwich.